I received my annual text yesterday from my friend Erica: “Circle Game just came on in my car. Will always think of you when I hear it. Hope life with two (kids) is going well. Talk to you soon.” I usually get this text about once a year: typically as we are heading into the summer. Both excitement and anxiety filled my head and my heart when I received this text because CAMP IS REALLY SOON (Ad Staff week starts in 35 days, but who’s counting…)! I know what you’re thinking: Circle Game – basic campfire song – meh. Well, let me take a step back and give you some history. Erica and I met when we were four years old in nursery school in Philadelphia. We stayed friends through dance recitals, Fairview Day Camp, and overnight camp where we attended the JCC Camp Arthur & Reeta (which sadly closed in 1996). 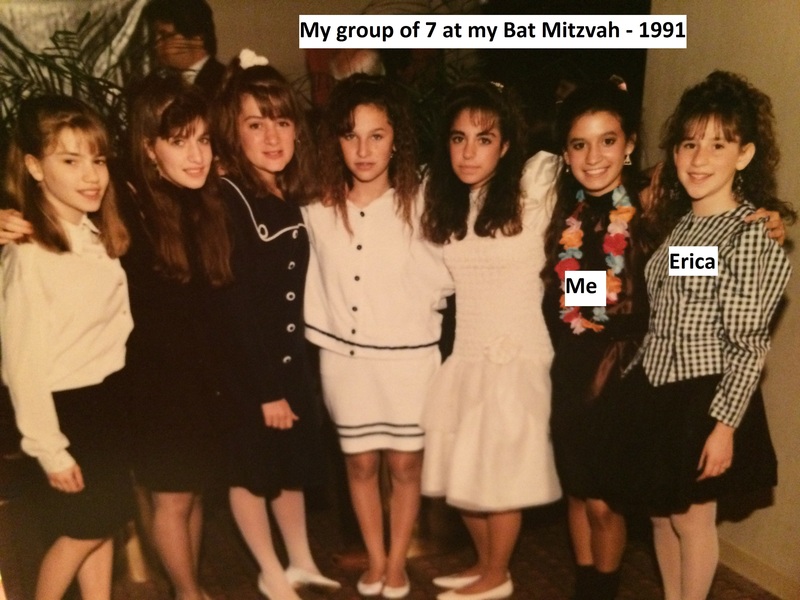 Erica and I were two of seven girls in our “clique,” but I promise that I was inclusive and friendly to everyone; I was always a floater. During my time at Camp, my family moved to Florida, and I continued to go to camp each summer. 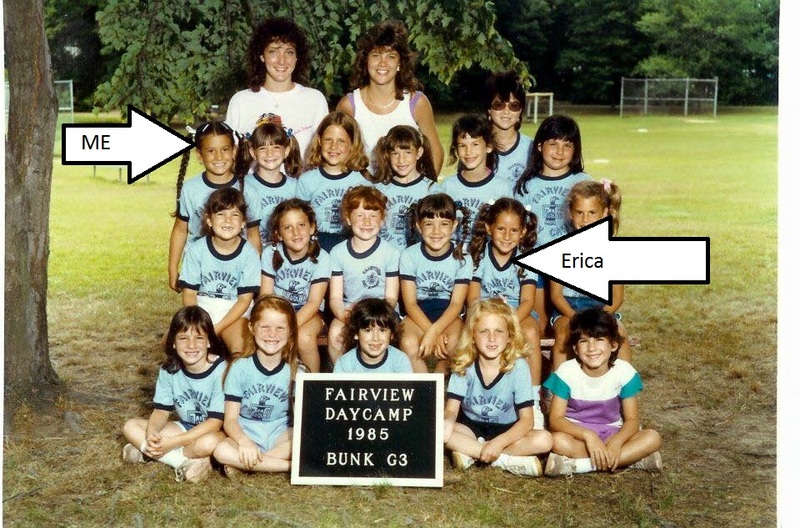 I flew in every year and stayed at Erica’s house before camp. The summer of 1989 was the most special, emotional and transformative for Erica and me. I was entering seventh grade, and I was chosen to be my unit’s Color War Camper Captain for the White Team, White Land. I was ecstatic! 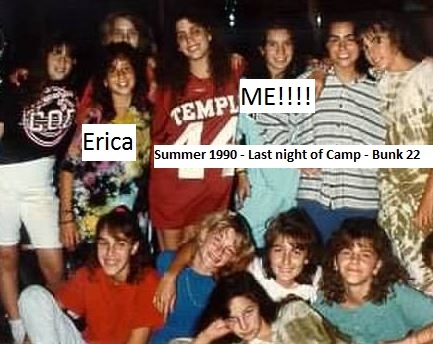 Then, I found out that Erica was the Camper Captain for Blue Sea, my competitor. My best friend… enemies… for a whole week… it was the end of my world! We had a quick “private conversation;” we held hands, hugged and we decided that we wouldn’t let Land and Sea come between our friendship. To where we all are one. To The place where all our friendships have begun. Oh Camp, all the times that we’ve had are amazing. And we’ll never forget them Camp. And we’ll miss you so much, oh camp! I cannot believe that today, in 2015, I still remember and sing these lyrics from the summer of 1989! At the end of the day, Erica and I presented each other beautiful gifts like paper plates with nice things written on them and boxer shorts with more nice things written on them (that I still have), we cried in front of the whole camp as we presented our gifts and speeches to each other, and our teams were scored on our presentations (talk about pressure)! Both teams worked really hard and put their best foot forward, but at the end of the day, Blue Sea won the Color War of 1989. There were lots of tears, lots of hugs and lots of screaming that led to lots of hoarse voices for the rest of the summer of 1989. To this day, the summer of 1989 was the best in my life! I’ll never forget where I slept in Bunk 18, which was V shaped; I actually had a bed on both sides of the cabin because I liked hanging out with everybody. I will never forget my counselors that summer, even Jen, the one who was fired mid-summer for reasons my 12 year-old self wasn’t privy to. I will never forget the boyfriends, including Evan, from Long Island, who was my camp boyfriend in 1990 as well. I will never forget getting grounded for making too many long distance phone calls to Erica, Evan and some other friends in Philadelphia and New York. I will never forget the way that I felt as a camper: invincible, accomplished, independent, happy, popular, pretty (yes – even with my hair-sprayed and teased bangs), and smart! Those feelings are what led me to pursue a career in Jewish camping. Along the way, my Jewish journey was inspired by all of my campers, families and staff. I am so proud of what I do every single day and feel so lucky that I get to be a part of making this magic for children and teens today! Let’s bring it back to today and Erica’s text. We lost touch towards the end of high school and college, but we reconnected a few times over the years. 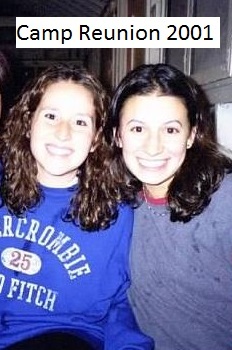 Our Camp hosted a reunion in 2001 for alumni, and Erica and I had a great time catching up! A few years later, Erica and her husband moved to the Chicagoland area when Jonah and I lived there! It felt like we were never apart, and our friendship picked up right where it left off! This summer Erica and her family will be spending some time in the Northwoods at another camp, and I look forward to welcoming them to Interlaken! To our campers, don’t be surprised if you see Erica and me walking through Camp holding hands, doing the “Tennessee Wig Walk” and giggling.